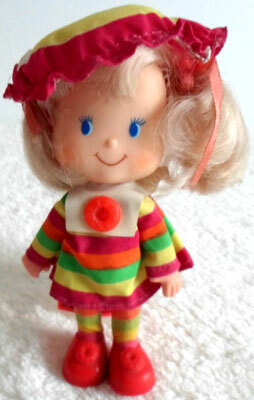 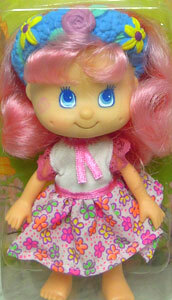 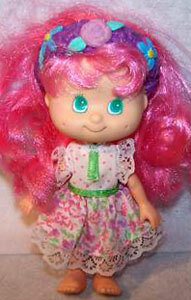 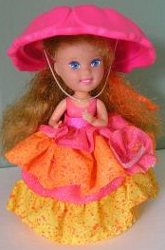 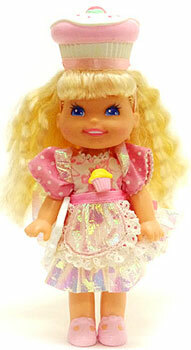 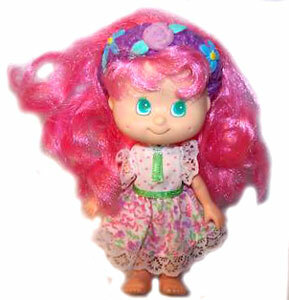 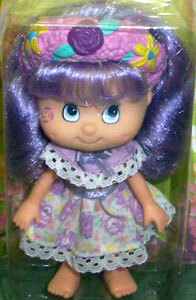 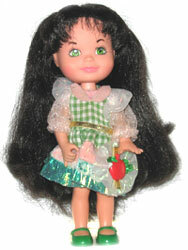 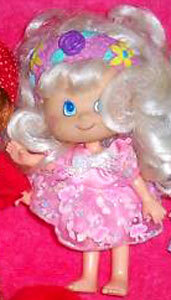 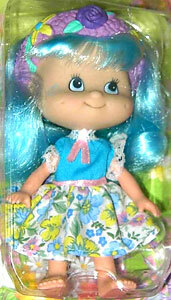 Blooming Babies were produced by Toys 'n Things (aka Toy Things) in the early 1990's and were a small series of dolls in flowered dresses and headbands. 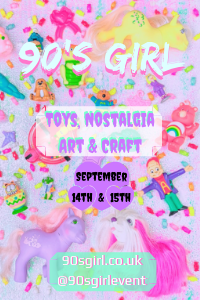 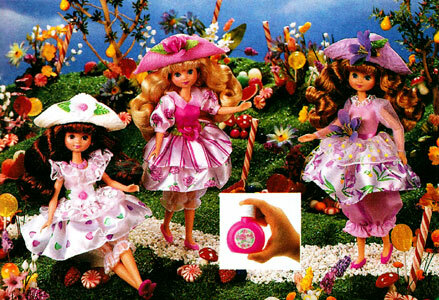 Images on this page thanks to Strawberry Shortcake 1991 and eBay sellers katrina9799s-household-variety and lavenderladee80 ! 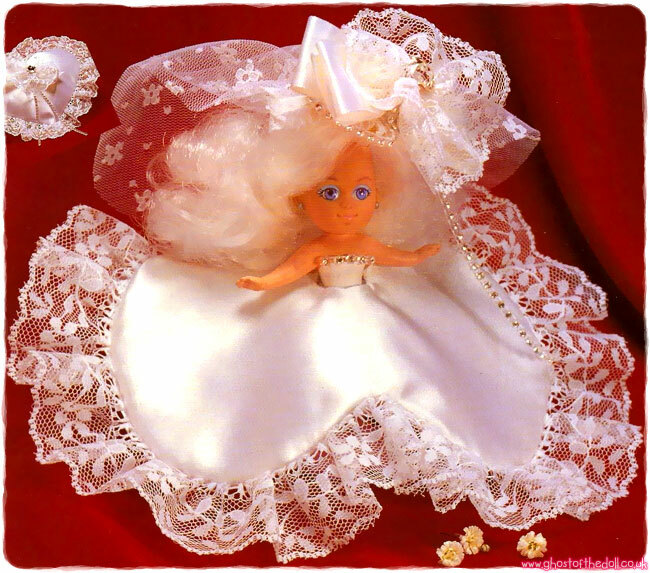 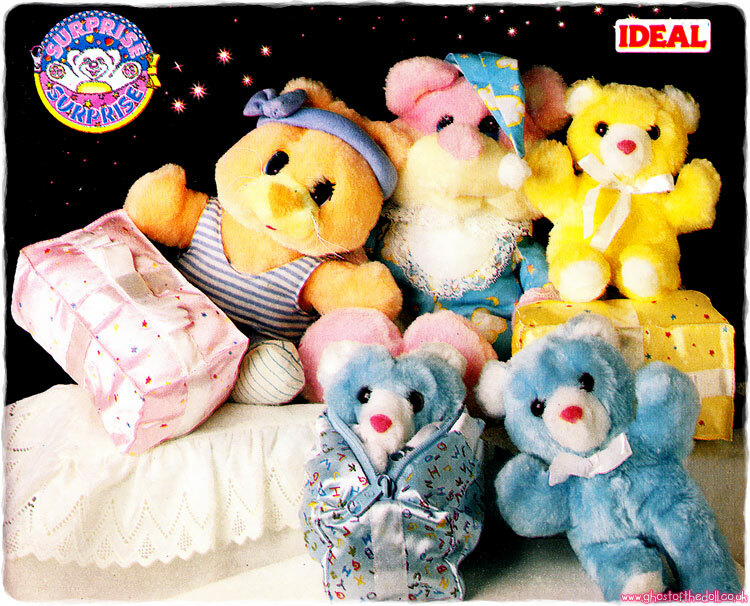 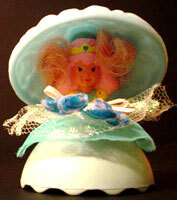 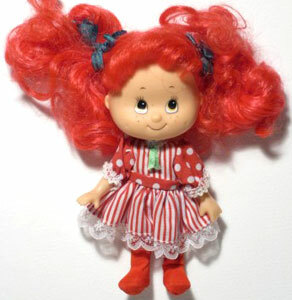 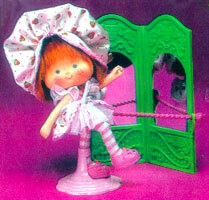 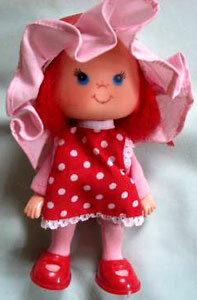 There were at least six Blooming Babies dolls produced. 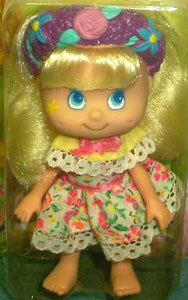 They came with an attached headband and removable dress, but no tights or shoes. 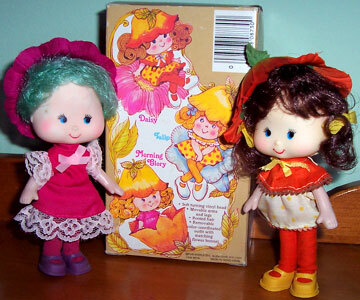 Each doll had a different symbol on their right cheek.